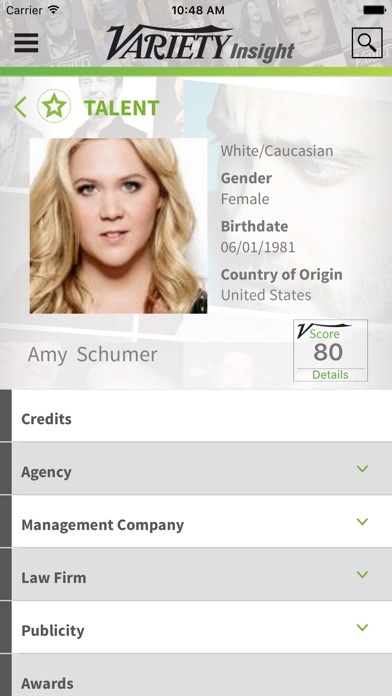 Variety Insight Mobile offers instant access to the entertainment industry's leading data platform. Variety Insight is the only data solution that comprehensively tracks people, projects and companies across television, film and digital entertainment. Variety Insight is used by the networks, studios and digital platforms that produce and distribute content in the US and globally. 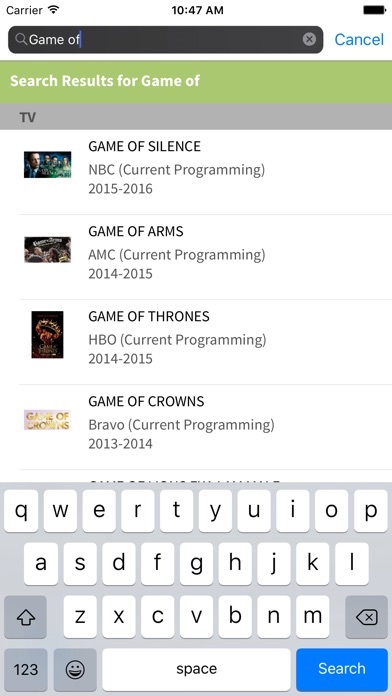 Variety Insight Mobile features include: -Predictive Search and Fuzzy Search corrects spelling errors and suggests popular results. 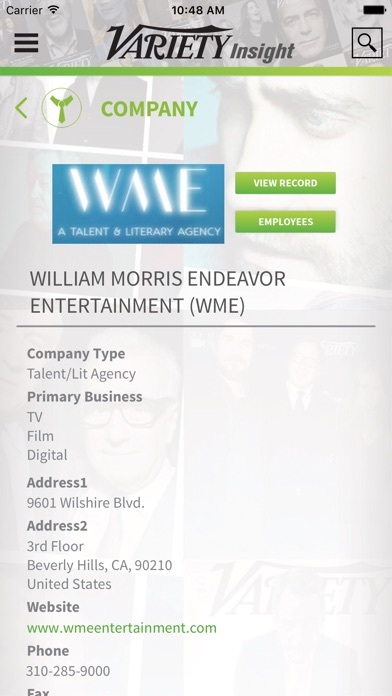 -Contact Info for 100,000's of executives, agents, managers, producers and more. -Contacts include name, photo, title, company, email, phone, address and more. -Industry Verified Credits & Representation for millions of actors, producers, directors and writers. 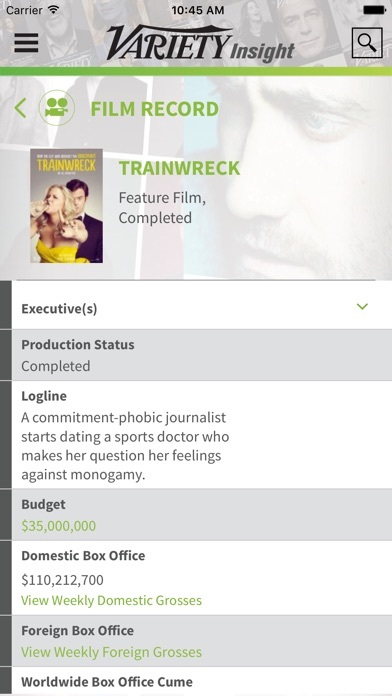 -Production Pipeline for all film and television projects from pre-production through completed. -TV Pilots & New Series. 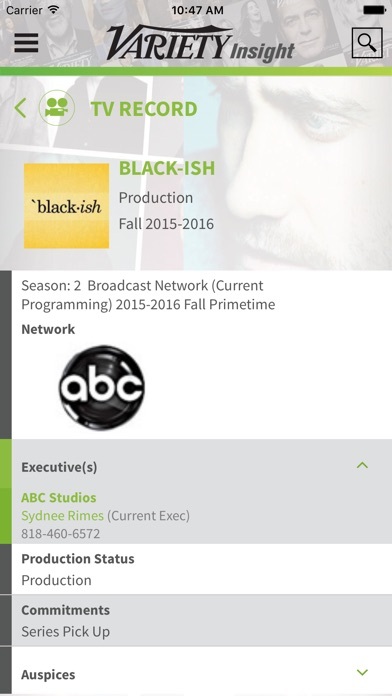 -Renewed & Cancelled Series. -Current Series. -Upcoming Film Releases. -Film Festival Insider for Sundance, Berlin, SXSW, Cannes, Venice, Telluride, Toronto. The Variety Insight Mobile application is provided for use by current customers only.